Our regular monthly round up of the best of the blog from Feb 2019. Back in late 2018 we gathered in Manchester for the inaugural #stemlynsLIVE conference. Our friend Dr George Wills gave a great talk on Aortic Emergencies. All emergency physicians know that it's all to easy to miss an aortic catastrophe. Listen to George's wisdom on common pitfalls and top tips to make you a better emergency clinician. Also check out these excellent #FOAMed resources. Last year we were honoured to bring Kat Evans to Manchester to talk at the #stemlynsLIVE conference. We've covered emergency medicine in South Africa before on the blog, but there is no substitute to hearing about it from someone who actually works there. This concept could radically change how we make probabilistic prescribing decisions in the ED. Have a listen and look out for a blog post on St Emlyn's soon. This podcast and presentation was recorded at the St Emlyn's LIVE conference in Manchester 2018. In this presentation Clare takes us through the rationale, principles, training and practice that we need in order to continually develop as prehospital and resuscitation practitioners. This is a great presentation for anyone interested in continually developing their own and their colleagues practice, delivered by someone who really knows what they are talking about and who works for one of the best developed resuscitation services in the world. Clare is an Emergency Physician and specialist in Pre-Hospital Care and Retrieval medicine based in Sydney, with Royal Prince Alfred Hospital and Sydney HEMS. She has completed a fellowship in simulation based education, and enjoys training with “real” people - patients, bystanders and the other clinicians we come across as we treat our patients every day. She is a lecturer with the University of Sydney, and is involved in education for the NSW Institute for Trauma Injury Management. When Clare is not working on helicopters or training teams, she is studying yoga or hanging out with her puppy, Archie. 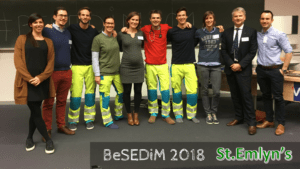 November was a busy month for the St Emlyn's team with a variety of blogs on conferences, EBM, philosophy and education. Here's the podcast and the links to the blogs mentioned in November. This podcast was recorded at the Intensive Care Society State of the Art meeting in London 2018. Simon Carley interviews Prof Peter Brindley on the interface of technology, humans and humanity in critical care. The audio was recorded live and at the venue so there is a fair bit of background noise, but we hope that this does not distract from a wide ranging and fascinating podcast. Five strategies to improve your resuscitations. Salim Rezaie from the REBEL EM podcast takes us through the optimal management of cardiac arrest and also explores some of the controversies and difficulties that make the difference to our patients. Here's our round up of the best of the blog from October 2018. Here's our round up of the best of the blog from September 2018. The following blogs are discussed. A little later than planned, but here is the podcast round up of the St Emlyn's blog for August 2018. 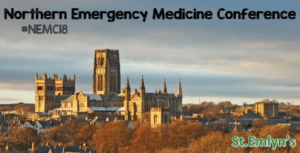 EMS Gathering round up 2018 with Simon Carley and Aiden Baron. See www.stemlynsblog.org Apologies for the sound quality on this one, it was all done in a fairly noisy environment. Don't forget to listen to special guests from 23 mins onwards. A quick round up of the best from the blog in July 29. Steve Playfor is an paediatric intensive care consultant at the Royal Manchester Children's Hospital here in the 'real' Virchester. He is an expert in the management of fluid balance in children and has been instrumental in many of the changes to our attitudes, beliefs and practice around IV fluid management. In this episode Simon and Steve discuss the somewhat crazy story of IV fluid management in kids, the pseudo-science, the custom and practice and finally the potential future of IV management. I can guarantee that you will learn something here folks. Nat and Simon discuss the recent #badEMfest18 conference. You can read more about the conference on our posts on the stemlynsblog website. This month we have a podcast on how we approach patients with mental health needs in the ED. It outlines the rationale and delivery of a change in how we manage some of the most vulnerable patients in the ED. We hope you find it interesting and I suspect you will also find it quite challenging. We are aiming to improve the care of patients with Mental Health needs, but in doing so we must face our own prejudices and practices, which are not always healthy. Editorial note on language – as you listen to the podcast you might be surprised to hear us use words like ‘insane’ in relation to decisions and systems. In some ways it seems incongruous to use such terms in a podcast that promotes a better understanding of mental health issues. We considered taking them out, but after consideration we left them in an attempt to illustrate the false dichotomy between medical and psychiatric needs that is embedded in much of our work. Perhaps the use of language reflects this and makes the point that we can do better. Why do we need to rethink our approach to Psychiatric emergencies in the ED? There are a group of life threatening conditions that present to your ED that you don’t deal with, or at least you don’t deal with very well. This group of conditions has a significant mortality and an incredibly high morbidity, but if you are a typical emergency physician you probably don’t think you own the problem. This group of conditions is at least as common as chest pain and yet it’s unlikely that you feel the same level of ownership of the problem. The issue is of course that of psychiatric illness. In Virchester it accounts for about 1 in 20 patients through the door, and that number is much, much higher if we were to include substance abuse and its related outcomes. In general, the approach in many UK units is to divide the patient up on arrival into physical and mental health needs. We feel responsible for the physical problem and then we try and offload any psychiatric problems onto the psychiatrists and mental health teams. At the centre of this is the patient who really does not see or feel this dichotomy and we really need to challenge our approach to this. Such dichotomies are embedded in our systems. I’m sure that many readers will be familiar with the request to ‘medically clear’ a patient in order that they can then be assessed by the mental health team. Bizareer customs and practice take place around these assessments, for example in Virchester the rule that a patient with a heart rate of more than 100 cannot be medically fit for assessment is sometimes used to decline psychiatric assessment. Such informal rules (none are actually written down or appear in any agreed protocol) result in delayed assessments, patient distress and long waits in the ED. I could go on, and whilst there is good and practice amongst all teams and specialities (we are just as bad at the mental health teams in promoting this dichotomy), the point is that we really don’t act in the patient’s best interests by dividing mental and physical health. This clear difficulty was one of the starting points for the APEX course, which aims to bring psychiatry and emergency medicine together for the benefit of patients, services and staff. The interview on the podcast is recorded with Prof. Kevin Mackway-Jones who many of you will know through his work with the Advanced Life Support Group. He was the instigator of APLS at a time when there was a clear need for emergency physicians to improve their approach and knowledge of paediatric emergencies. APEx feels the same. A common condition in our EDs for which we are not currently doing the best that we can for our patients and where a joint teaching and learning approach is needed between the ‘tribes’ of medicine. This could be a game changer to how we manage a very common and very vulnerable group of patients in the ED. So what’s on the course? I can’t give you the whole courses here but there are a few principles that underpin the content and approach. It’s a symptom based approach (just like APLS) and so it deals with how we deal with the presenting complaint first and not the underlying diagnosis (as you may not know what this is when you are dealing with the patient). The approach will be familiar to many Eps. There is a unified approach. The patient needs an ABC approach for physical health, but in addition and concurrently they also need the AEIOU approach. Rapid tranquilisation is a key conern for EPs and so there is lots on this that does not automatically default to restraint, a needle and syringe and a significant risk. You can find out more on the ALSG website here. What has APEx got to do with St Emlyn’s? At St Emlyn’s we are letting you know about the course for several reasons. Many of us teach and support the work of the ALSG charity (for free and because we believe in it), but also that we all believe that the care of patients with mental health needs can be improved. They are a vulnerable group who generally get a bad deal when they present in crisis to emergency departments. We know we can do better and we believe that this course will help us achieve our goal to do the best that we can for our patients. Simon and Iain talk through what the team has been up to in April. All the blogs should be on the website and of course you can subscribe to the podcast via iTunes or via PodBean. Gosh, when you write it down and think about all the work the rest of the team puts in to teach and learn it makes me kind of proud. Don't forget to join us later this year for the live version at #stemlyneLIVE in Manchester. 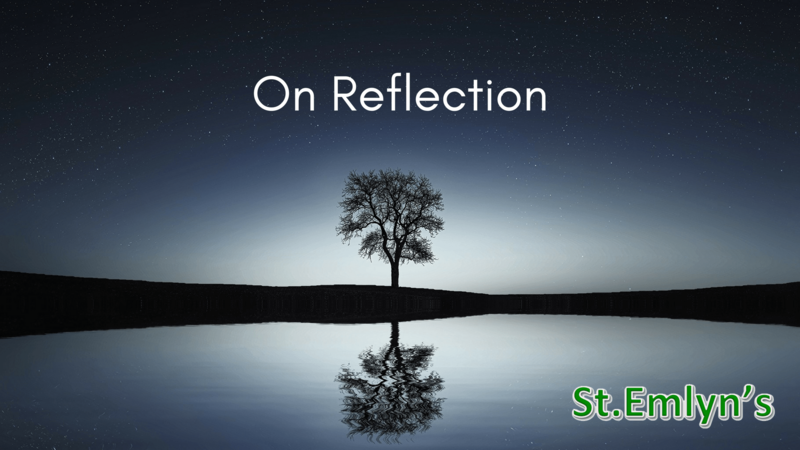 St Emlyn’s March 2018 blog and podcast round up. Iain and Simon catch up on what happend on the St Emlyn's blog and podcast in March 2018. Visit http://www.stemlynsblog.org for more info and links to the articles mentioned in the podcast. 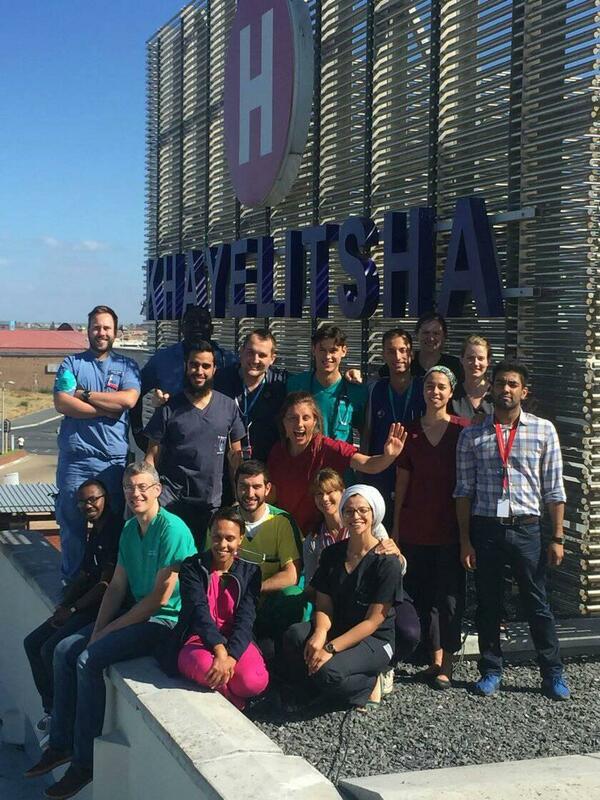 This month we cover IV fluids and the never-ending debate around balanced crystalloids vs. saline, we look at working in Africa on secondment or as a placement and we round off with a discussion of the utility of pupillary signs in the prognosis of patients post cardiac arrest. The Physician Response Unit (PRU) is an innovative service in East London that takes the emergency department to the patient. The PRU is led by Tony Joy, consultant in emergency medicine and prehospital care and is a fairly unique service to the UK. In this podcast our very own Richard Carden interviews Tony for an in depth understanding of how the service is supporting the entire emergency care system in London. You can read more about the PRU here https://londonsairambulance.co.uk/our-service/news/2017/10/remodelled-pru-to-be-a-seven-day-service-for-the-first-time and look out for a blog post on the St Emlyn's blog site very soon. St Emlyn’s February 2018 blog and podcast round up. Iain and Simon review the best of the blog from February 2018. Iain and Simon round up the blog posts from January 2018. You can listen to the podcast below. Links to all the blog posts mentioned are listed below. Simon and Iain belatedly reflect on a tough winter and the posts in January. CAN 8. Diagnostics and PICTR questions. Rick and Simon talk about critical appraisal and diagnostic studies. How does a PICTR question work and how can you use it to assess the quality of a published study, and how can it be used in research design. Managing Perceived Devastating Brain Injured patients. 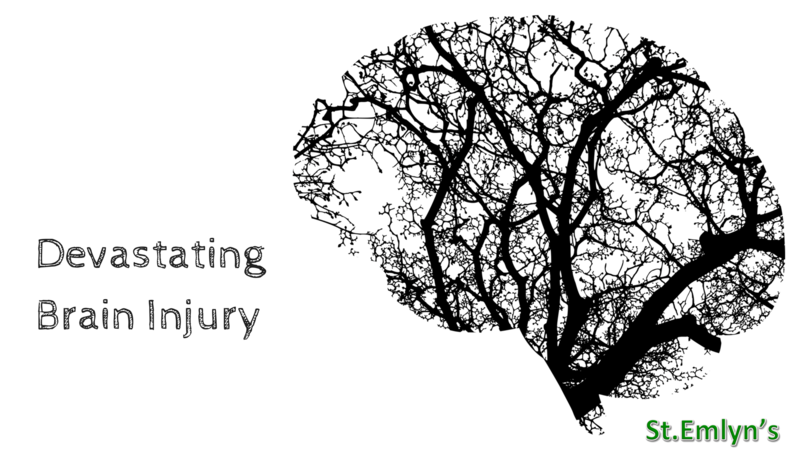 In this podcast Simon talks to Dan Harvey (ITU) and Mark Wilson (Neurosurgeon) on the management of complex patients with a perceived devastating brain injury. This podcast is linked to the blog on the St.Emlyn's website. What’s new at St.Emlyn’s? Conferences, Courses and Content from December 2017. 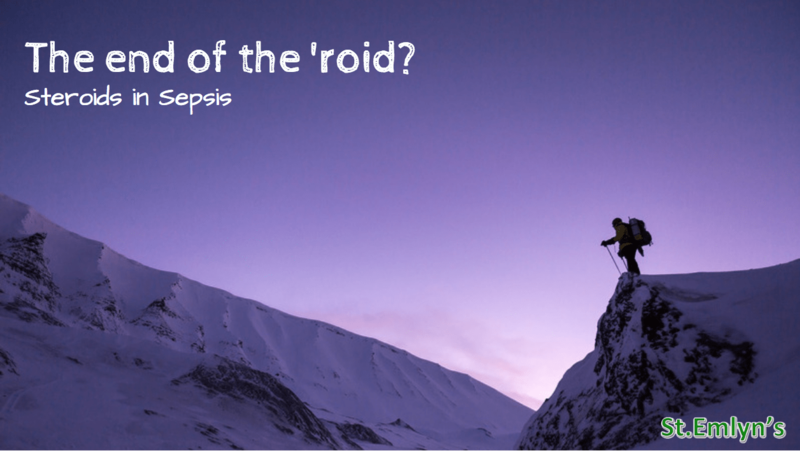 2.Management of paracetamol therapeutic excess in the ED. St.Emlyn’s. Rob MacSweeney from the incredible Critical Care Reviews website joins Simon to talk about the forthcoming CCR meeting in Belfast and the news that the eagerly awaited ADRENAL trial will be releasing it's results this Friday. Below is the 'blurb' from the CCR website. The bottom line is that this is a unique and incredibly valuable event and there is still time to get there. ADRENAL - Prof Bala Venkatesh (Brisbane) will discuss ADRENAL, ANZICS latest mega trial, investigating corticosteroids in septic shock. MACMAN - Dr Jean-Baptise Lascarrou (Nantes) will present the MACMAN trial, comparing direct laryngoscopy with video laryngoscopy in the ICU. ATHOS-3 - Dr Ashish Khanna (Cleveland) gives his perspective on the ATHOS-3 trial, evaluating angiotensin II in vasodilatory shock. The Critical Care Reviews Meeting is a small, intimate event where you get the opportunity to meet the faculty, ask questions and have a beer with them. The famous "Informal Chat", held at the end of the day, guarantees this opportunity to ask some real questions and get some very interesting answers. Stay for dinner afterwards, overlooking the slipways where RMS Titanic and Olympic were built and launched. Year on year delegate feedback has been incredibly positive confirming this as one of the best meetings around. In 2017 delegates travelled from across Ireland, the UK, Europe, India, the USA and Australia. Don't wait too long before registering as numbers are limited and the meeting will sell out. Critical Care Reviews is a not-for-profit organisation. 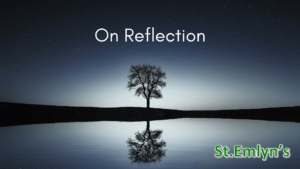 HEMS, reflections and St.Emlyn’s e-books. Natalie and Simon discuss reflections, e-books and life at Sydney HEMS. This week we have added Lorikeets in the background (Nat recorded at Coogee Bay in NSW). We think they sound cute so we've kept them in (or rather we could not edit them out). Our November round up of news from the blog with Simon and Nat. 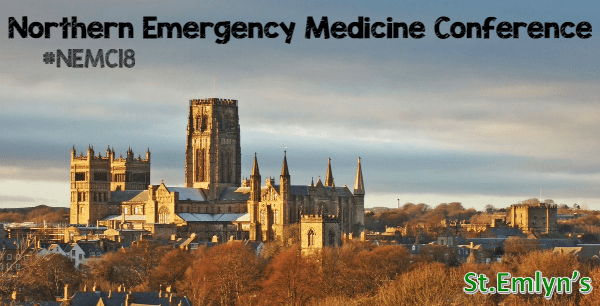 Simon (@EMManchester) and Iain (@docib) review some of the articles from the St Emlyns blog site (http://stemlynsblog.org/) from recent weeks and chat about the current state of Emergency Medicine in the UK. A podcast on foreskin problems in the paediatric emergency department with Ross Fisher and Simon Carley. This podcast links to the blog post which you can find here. Foreskins a PED primer. It's that time of year again, where we get new colleagues in the Emergency Department (and across lots of other areas of the hospital too). These are some of the top tips for new starters (and life in the ED in general) gathered from the senior medical and nursing team at Virchester (South). Oh. And one tip we left out - always wear sunscreen. With thanks (and apologies) to Baz Luhrmann. This podcast links to a previous blog on St.Emlyns which you can find here. 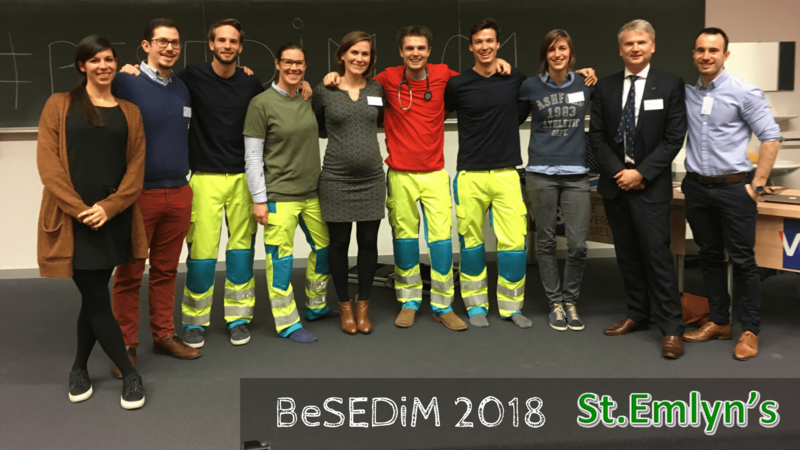 Our last podcast from the teaching course in Copenhagen #dasTTC. George Wills, Simon Carley, Natalie May, Jesse Spurr and Salim Rezzaie give the faculty perspective. The short version is we think and hope that the delegates learned something, but as a faculty we once again learned loads and met some amazing people. Roll on the next course. (hint they are in San Fransisco and Melbourne). Chris Nickson, Natalie May and Simon Carley discuss simulation and educational theory on day 2 of the teaching course. In a new podcast format Simon (@EMManchester) and Iain (@docib) discuss the month's offerings from the St Emlyn's blog and podcast (www.stemlynsblog.org). It's been a month full of interesting posts on subjects as diverse as Thrombolysis in Stroke (Alan Grayson), The Future of Emergency Medicine in the Social Age (Simon), Cardiac Arrest Centres (Simon), Love in Critical Care (Liz Crowe), Transfers (Nat and Simon), Thrombolysis in PE (a guest post from FOAMed legend Anand Swarminathan) and Benzos in Back Pain (Janos). Head to the website for the articles themselves and all the references and links you need. We're aiminig to make this a regular monthly podcast - let us know if it's useful and enjoyable and how we could make it even more educational. This podcast links to a St.Emlyn's blog on the outcome of the James Lind Alliance research priority setting exercise.